Improve reachability and maximise cabinet space with our Pyramid Dinnerware Organizer! Made with sturdy stainless steel, this rack utilises the height of your storage space, allowing you to organize dishware efficiently. Suitable for large platters, dining plates and bowls, keep all of your dinnerware within easy reach today! Uniquely designed for added convenience, our 2-in-1 Soup Ladle is the perfect scoop for soup, stews, gravy and more! On one side, it feature a ladle and on the other side, it comes with a stainer to easily pick out solid food. Perfect for steamboat gatherings or everyday home-cooked soup, simplify your cooking experience with us today! Promo: Save 5% with a 3-piece promo set! Comes with 1 of each colour. 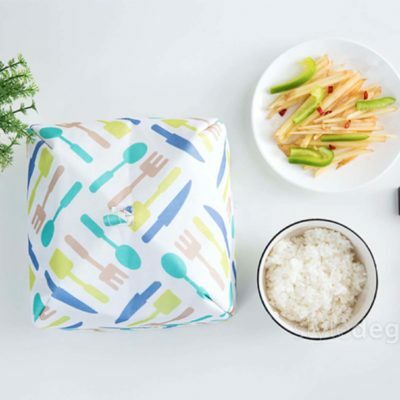 Our Adorable Insulated Food Cover is designed to add liveliness to your dining table! Aside for its vibrant design, this cover features a thermal insulated lining, allowing you to keep your food warm and sumptuous. Moreover, it features a foldable design which saves you space and a tab for easy lifting. Enjoy a heart-warming meal with us today! Add the colours of fall with our Autumn Leaves Dining Coaster! Beautifully designed, this 3-piece coaster set is sure to bring joy to your diners while protecting the dining table. Suitable for dinnerware, cups, mugs and even pots, add a set to your dining table today! Love all things avocado? Our Avocado Insulated Food Cover would be a great addition to your kitchen! With vibrant avocado prints on the outside, this cover features a thermal insulated inner lining, allowing you to keep your food warm and sumptuous. Moreover, it features a foldable design which saves you space and a tab for easy lifting. Enjoy a heart-warming meal with us today! Keep your kitchen and dining table protected from burnt marks and scratches with our Classic Wood Heat Coaster! Made with quality wood, this 9-piece set adds a unique matching design to your dining experience while preventing unwanted damaged to your table! Besides, it comes with a rack to keep the coasters neat and organized – Simply perfect! 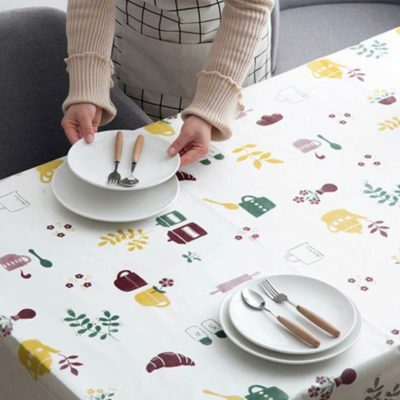 Coming in lovely prints, our Cosy Dining Table Cloth is sure to complement while protecting your dining table! Aside from its gorgeous design, it features a splash-proof and scratch-proof polyester material which makes the cloth easy to clean and extra protective as well – all you need in a table cloth! Top off your breakfast with a perfectly shaped sunny-side up egg! Coming in a lovely heart and flower design, our Egg & Pancake Maker Mold will help you bring smiles to your loved ones. Alternatively, use it as a pancake mold and whip up a delicious stack of sweet treats. Elegantly designed, our Fruits & Pastry Mini Fork is the perfect cutlery for enjoying your favourite fruits, cakes and desserts. Made with durable stainless steel, it ensures lasting quality and a comfortable holding experience! 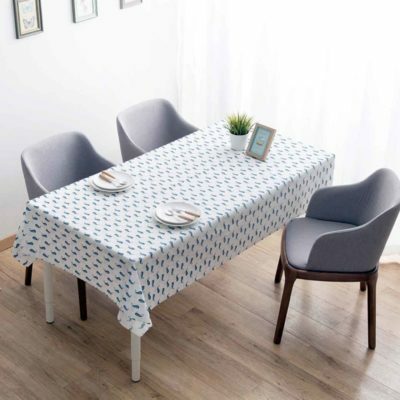 Sleek and protective, our Get-together Table Cloth is an essential for any dining table! Made with quality linen, this cloth adds a touch of style to your dining experience while protecting your table from burnt marks and scratches! Add some vibrancy to your dining area with our Lively Table Mat! 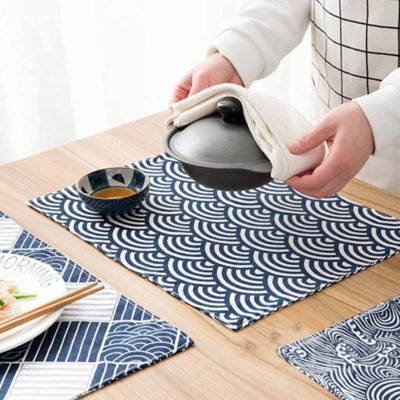 Delightful and protective, this solid mat protects your table from scratches and scald marks while being easy to clean. Coming in 3 adorable patterns, be sure to collect them all for a matching design! A must-have essential for soup and stew lovers, our Luxe Soup Ladle & Lid Holder helps to your kitchenware organized! Its compact and sturdy design is able to hold lids, chopping boards and ladles – allowing you to savour your comfort food effortlessly! Exquisitely-designed, our Luxe Thermal Flask Pitcher is the perfect way to store your beverages – be it cold or hot! With vacuum insulated walls, this flask is able to keep your hot drinks warm for up to 12 hours and cold drinks for up to 24 hours! Made with the finest materials, enjoy cold-pressed juice or fragrant tea with this flask today! Our unique Modern Chopsticks brings a touch of stylish design to a traditional dining utensil! Made with all-natural wood, this pair of chopsticks looks great, feels comfortable and most importantly, is easy to use! Sleek and well-designed, our Modern Table Mat helps to protect your dining table while adding a touch of modernism. Featuring a washable and protective linen material, say good-bye to unwanted scratches and burnt marks! Bring home a touch of Peranakan with our Nyonya Rectangle Plate! This unique dinnerware is not only exquisite but its slim design also helps to save space on the dining table. Made with quality ceramics, platter up your favourite dishes elegantly today! Promo: Save 6% with a 2-piece promo set! Inspired by Japanese Bento culture, our Oishii Bento Cutlery Set allows you to enjoy a delicious meal anywhere, anytime! It comes with a protective hard case containing a pair of Oishii Wooden Chopsticks and an Oishii Wooden Spoon for a complete set. Enjoy your favourite meal the Japanese way today! Made exquisitely with a hint of Japanese minimalism and quality, our Oishii Cutlery Rest is the perfect way of organizing your utensils. It holds your fork, spoon, knife and chopstick in an alluring manner, allowing you to enjoy a delightful dining experience! Save 5% when you purchase a 2-piece set! Save 10% when you purchase a 4-piece set!